Chia seeds are known as a great plant-based source of omega-3 fatty acids, in addition to a host of other nutrients, and an abundance of calcium, protein, and fiber. These frequently asked questions are excerpted from Chia: The Complete Guide to the Ultimate Superfood* by Wayne Coates, PhD. If you like chia seeds, you’ll love 6 Fabulous Recipes for Chia Seeds here on VegKitchen. Q. Can I eat too much chia? A. Not really. If you eat more than your body can handle, you may find yourself feeling a bit bloated, or you may experience mild diarrhea, though this is rare. Q. Is it possible to be allergic to chia? A. It is very rare, but the possibility does exist. 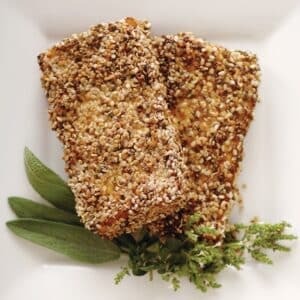 Those most likely to have a reaction to chia are individuals who areallergic to sesame or mustard seed, or to other members of the salvia family, such as sage. Q. What else does chia contain? A. The main vitamins are: A, B1 (Thiamin), B2 (Riboflavin), C (ascorbic acid), E, choline, and Folate (folic acid). Chia also contains vitamins B3, B5, B6, B15, B17, D, K, inositol and PABA. The main Minerals are Boron, calcium, copper, iodine, iron, magnesium, manganese, phosphorous, potassium, silicon, sodium, strontium, sulfur, and zinc. It also has amylose and plenty of electrolytes. And they also contain 18 of the 22 amino acids, including all nine essential amino acids. Q. I’m on medication. Can I take chia? A. It depends on the medication. Your best bet is to talk with your healthcare provider before taking chia. Q. My personal trainer said I should have chia daily between weight lifting workouts. Why? A. Chia is believed to decrease recovery time and fatigue in cardiovascular workouts by encouraging muscle tissue repair. Q. What happens after I’ve swallowed chia? A. When chia reaches the digestive liquids of your stomach, it swells and forms a gel. This gel slows down the rate at which digestive enzymes turn carbohydrates into sugar. Q. I understand I should drink plenty of liquids when eating chia. Why? A. Since chia absorbs a lot of liquid, it can lead to stomach cramps. Hence the need to consume sufficient liquid when consuming chia. Q. I’ve heard chia can make my nails healthier and grow faster. Is it true? A. Chia is rich in omega-3, as well as calcium, boron, and many antioxidants that help create healthy, moist, disease-free skin. Q. Is it necessary to grind the seed? A. Chia seeds do not need to be ground for absorption, unlike flax, which must be ground before eating it. Q. Should chia seeds be washed? A. Chia seeds do not need to be washed. Q. How should chia seeds be stored? A. Whole chia seeds will stay in good condition at room temperature for several years. There is no need to keep the seeds in the refrigerator, whether it’s kept in sealed bags or not. The seed’s natural antioxidants provide this stability. Storing chia in a closed container will help extend its shelf life. Q. What’s the difference between the colors of chia seed. A. There are two chia seed colors, white and black. The difference between the two colors, however, is negligible. Both contain essentially the same amount of omega-3, protein, fiber, and other nutrients. Are chia seeds okay to eat if I occasionally suffer from diverticulitis? Kathie, my gut tells me that you need to proceed with real caution on using chia if you have diverticulitis — I just loaned the book out yesterday, and so can’t look up the answer for you — but I may be able to find out what the author fo this book thinks, so stay tuned! Thank you Nava, I appreciate your reply and look forward to hearing any answers that you may find! Kathie. i too have diverticulitis and chia seeds are great for helping with it. According to my chia seeds .com Helping with Diverticulitis is the #3 reason to take chia seeds. big factor in this risky condition. To help ensure regularity, you need plenty of soluble and insoluble fiber in your diet. If you don’t want to eat celery, and whole-grain everything…or piles of bran flakes, the Chia Seed is here to help. Each seed is coated with soluble fibers which aid its gelling action. The exterior of the seed is protected by insoluble fiber. The insoluble fiber is unable to be digested (it does not contribute any calories, or break down) so instead, it helps keep food moving smoothly through the digestive process. Soluble fiber, and the gel coating of the seed keeps the colon hydrated and ensures the easy movement of food. Thanks for this valuable input, Shaun — much appreciated! Yay, I was fine taking chia for a few weeks and then I started getting stomach cramps something awful. I think my appendix was having a negative reaction to them as well. Tests at the doctor take so long though that by the time they got around to doing them I was pretty much fine. Happened to me three times before I concluded it was the chia. Ate a little bit by itself for breakfast and that’s when I knew. Shaun, Thanks for this valuable input — much appreciated!!!! Can I put chia seeds in fruit smoothies or perhaps put them in something I would bake or do I have to put them in water or should I just eat them plain? Baylee, you can do all of the above. 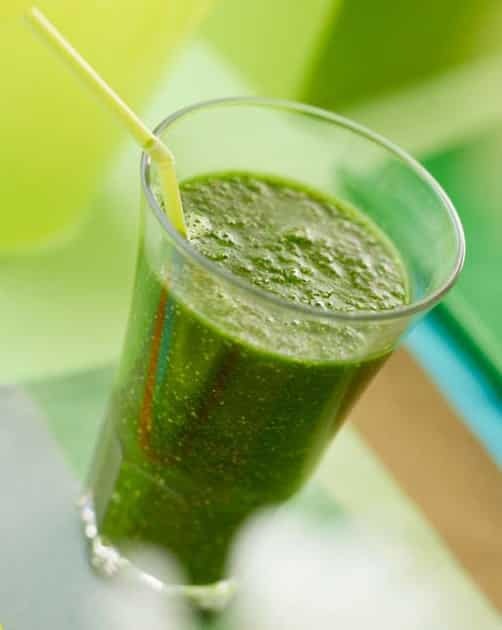 When using in a smoothie, you need to drink up quickly, as they make liquid thicken up quite a bit. And you can use whole or ground seeds in baking. Pat, lots of people like to add chia seeds to smoothies. You can mix them into water or juice, too, but the most important thing is to use them with a lot of fluid, as they expand greatly in the stomach. What’s the difference between chia seeds for planting and for eating? Can I eat the seeds sold for planting all the same? Since I eat peanut butter on a daily basis, I mix chia seeds into my jar of peanut butter. I uses a food processor to make sure they are evenly distributed. Delicious! That’s a really good idea. I just did something very similar, and also included hemp seeds and maca powder. Made them into small rounds, and take one or two a day to get my omegas! Folate and folic acid are not the same thing. Just ask someone with the MTHFR gene mutation. Joshua, the cramps may have been a usual side affect of Chia. You have to drink more water than you usually do to avoid the cramps. Also, lessen the amount of seeds that you consume until you can figure the water to Chia ratio to avoid cramps. When I put chia seeds in my water to drink , as we all know they form a gel, so when I do drink them, in my experience they pass right through me. So I’m wondering, that means I’m not getting any of the chia seeds nutrients, right? Jay, I do believe that the chia seeds are digested, they don’t pass right through you as do, say, whole flaxseeds. Otherwise, you wouldn’t reap their benefits. Is there a major difference in organic and non-organic when it comes to chia seeds? Monica, this is a great question! I’ve heard various things about this; lots of sources say that chia is not a heavily sprayed (if at all) crop; most major brands like Nutiva are certified organic in any case. So while I can’t say that my search is definitive, it may be best to err on the side of caution and support the organic variety. That said, if you already have a batch of non-organic seeds, it probably wouldn’t do much harm to use them. I’ve been taking chia seeds daily for a few weeks and have had horrible headaches! Like 3-6 a day and pretty severe. I never have headaches like this. The only thing I can attribute it to is the Chia seeds?! Has anyone else noticed this? Jessica, I’ve never heard of this, but if the only change you’ve made over the last few weeks is taking chia seeds, stop using them at once! To get your omegas, switch to flax or hemp seeds, or eat 3 or 4 walnut halves a day. Can i eat chia seeds with black sesame at same time? i would add honey too. I don’t see why not … but be sure to drink plenty of liquid, too, as the chia seeds swell up in your stomach! Regarding headache, Chia seeds slow down the absorption of nutrients in intestine-> including carbohydarates-> you get hypoglycemic-> and Boom comes the headache. The next time you get a headache after gulping down the chia, slurp down a teaspoon of sugar in your tongue, you will have a feeling-good-head, minus the ache! HI ! I’ve just bought some chia seed from my local market but i believe the chia seed is not “clean” (first time I’ve tried, I found some random stuff in it that weren’t seeds). If I can’t wash it, how can I clean my seeds? Sophia, I’m not sure there’s a way to clean them. If I were you, I’d return them to the market and seek a different source! i also headache, is that normal can i continue taking chia seed?? For thé First time yesterday I bought some black chia seeds and promptly added a tablespoon to my bottle of water. I liked them so much I ate another tablespoon on its own. I went to bed feeling extremely bloated and thought nothing of it until during the night I woke up with debilitating stomach cramps and headaches. Absolute agony for hours it came in 5 minute waves of cramping. I kept drinking bottles of warm water to try and soothe aching plus a hot water bottle on my stomach and i noticed the more i drank the pain moved from the top of my stomach down towards my lower abdomen and now it has almost disappeared. I should’ve read about the side effects and how to correctly ease into chia seeds before going crazy on the stuff! Lesson learnt! I take vitamins supplement and minerals.. I was wondering if adding chia seeds to water/food will lead to negative results such as an overdose? How should I begin taking the chia seeds? I’m so glad I found this page. I’m having a very negative experience right now. Fever, chills, no energy been in bed 2 days now. The only thing different that I have eaten was the chia seeds. I just had a triple bypass done 2 1/2 months ago. I am on a no cholesterol, no (bad) fats diet which is a heart disease reversal diet. We r learning so much about plant based eating n Mon on my walk I was doing great but my allergies were the worst they had been in quite a while. When we got in n I had my quick oats n cinnamon n strawberries I added a teaspoon of chia seeds. (My wife had just gotten them). She just put a couple of pinches of Chua seeds on hers. I rested most of the day. Before supper I was chomping at the bit to be able to get out n help in the garden etc. She told me that the chia seeds were good for an energy boost. Well, apparently they were. I put another teaspoon of seeds on my salad. I went out n worked til dark. I am so excited about that. But 3:30 am tues morning I went to the bathroom I was in excruciating pain. I thought maybe appendix or kidney stone was the problem. The severe pain is gone but it looks like my body is fighting an infection. Whatever the problem is I hope the worst is passed. What I don’t want to give up is the chia seeds. It sounds like I started off w/too much n maybe didn’t drink enough water. As soon as the infection is over I want to get started taking the chia seeds again. Ron, sorry for your health troubles. We are not qualified to give medical advice. It would be a good idea for you to consult with a Registered Dietician to get these and other questions answered so you can move forward with improving your health! Ok, I got through that alright. What I would like to know is how much or how often I should take it so I can work up to 2 tablespoons a day? I started again yesterday w/just a pinch. If you have trouble digesting them, then don’t take them dry. I add almond milk to a couple of spoonfuls of seeds and keep stirring occasionally for 10mins to half an hour while they swell up and make a pudding consistency. You can add a little bit of powdered vanilla and sweetening (I use a pinch of stevia) and even raw cacao to turn it into chocolate chia pudding. I absolutely love Chia seeds! How ever today someone made me laugh while in was drinking water with the seeds mixed in and some came out my nose ! I am quite scared that if there are any seeds in the back of my nose they will sprout? Could this happen ? I started taking chia seeds about 6 days ago and first few days went fine but I’m pretty sure I wasn’t drinking enough liquids because it’s been a couple days since my last bowl movement. the first day I didn’t even realize i hadn’t gotn enough water and went ahead and took another tsp. dry with water, unaware it wasn’t enough. today i have been drinking water cup after cup, and I feel light headed a little but mostly bloated!! Anyone know how long it takes to finally pass these threw? Can I keep chia in my fridge after it has been mixed with water and becomes a gel? Definitely, Colleen. It keeps for several days in this way. I too think I have taken to many chia seeds.Drank down a bunch with water befor bed, after feel good guilty about eating potato chips,now I have felt lathargic with a headache, bloated and thirsty. I’m Drinking tons of water not that hungry. When should this pass? I was putting two tablespoons in my coffee every morning. felt like i was losing by belly weight. felt full and good. then for weeks i was having the worst head aches all day long, woke up during the night with the pain and my head just felt numb. i went to doctors, eye doctor, neurologist and they found nothing.i stopped using the Chia seed and i no longer have the headaches. not sure if it was from that but i will start with only teaspoon in the coffee only a couple times a week. Will they bloat my stomach since they absorb and expand? My niece has inflammatory bowel with diarrhea and frequent stools. Has anyone ever filled empty capsules with chia seeds to get it further down the digestive track to help with absorption of excess fluid of diarrhea? When mixed with water, can chia seeds be kept at room temperature in Tupperware? Can chia seeds lower the bad cholesterol level?If yes, is it good enough to take 2 tablespoon of chia seeds a day for lowering the bad cholesterol? Thank you. This site has really been helpful. My daughter and I just started using Chia seeds and I have been reading everything I can get my hands on about the Chia seeds. Reading this site I now know why my daughters stomach has been hurting. I soak two tablespoons of Chia seeds in 1/2 to 3/4 cups water water, stir well cover and put in the refrigerator, I get ready for work about 30 min. I add a cup or more yogurt mix well. I asked my daughter if she soaked her seeds and she did not which I know now that the seeds are absorbing most of the water in her system which is giving her stomach cramps. Soaking the seeds first is the way to go for me and my daughter. I hope this can help anyone reading this. Thank you, your post helped a lot. My daughter and have just started using Chia seeds as well, and didn’t know what to expect. Your post helped very much. Good luck to you. I found out that I Love chia seed and I eat more that two table spoons a day along with liquids. is that alright. Beverly, that’s probably a fine dosage as long as you consume them with plenty of liquid. Is chia safe to consume if you have diverticulitis. My doctor said I should avoid seed like sesami seed corn ect. Marisol, that’s an excellent question, but we’re not qualified to answer those that are medical, like yours. If your MD doesn’t know much about chia, you might consult a Registed Dietician who can guide you on this. Good luck! I mix sugar free jello with Chia seeds and let it set up over night it’s very good. How much is the amount of seeds should I have daily? Is there a risk of over dosing? I make a jam by mashing 1C of fresh or frozen organic fruit, with 2T chia seeds and 2T Xylitol (a natural sugar made from Birch trees) You will have to adjust the sweetened according to taste. No boiling! Just put it in a jar and refrigerate. It tastes so fresh! I just connected the dots today. When I eat them with Greek yogurt, I am fine, no symptoms. When I mix them in water and drink, no problems. BUT when I mix them in oatmeal, oh.my.goodness. I thought it was a fluke, until today, I had the oatmeal, with blueberries and chia seeds. Tummy ache city. Oh my. Glad I found this post. Darlene, xylitol can cause diarrhea in sensitive individuals. Found that out the hard way chewing sugar free gum that contained the stuff…I’ve heard of chia seed jam and would love to make it. Would other sweeteners work? I blend strawberries with a bit of coconut water, then add 2 tablespoons of Chia. I put it in a container until lunch time and add vanilla/natural yoghurt. Makes a great afternoon snack! I have been experiencing bloating and diarrhea lately immediately after dring my berry-chia smoothie. I stopped taking it jsut to find the reason and this article proves that taking 3 teaspoons of chia in my case is not good! I love the question & answer section on your site. One question/answer I didn’t see in “What is the optimum amount a 300# male should consume?” I would appreciate any answers. I am on a strict 500 calorie diet I need a natural appetite suppressor; how much Chia Seeds do I take and how often, do I take in between meals or before a meal. Also can I combine Chia Seeds with Flax Seeds. Please Help! Should a person with diverticulitis take chia seed? Kathy, that’s a medical issue and we’re not qualified to answer that … it might be good to ask a Registered Dietician this very good question. I put about 2 tablespoons of chia seed in container with milk, cinnamon, vanilla extract and dash of sugar overnight in refrigerator and the chia seeds haven’t gelled up any. Do you think the seeds aren’t any good? I just purchased them at Trader Joe’s. Sally, it’s odd that your chia seeds didn’t gel up at all overnight in the fridge. I’d say give it one more shot with less liquid (stir up an hour or two after you’ve combined them with the liquid; maybe try nondairy milk instead) and if they still do nothing, return them to the store. I have just started the chia diet. And I realized that after soaking the chia seeds with warm water, it kinda had some funny smell coming out? Has it gone bad since many said that chia seeds do not have smell or its normal? I had a bad reaction to eating chia seeds. I bought a bag of the seeds and added some to my morning ooatmeal bowl. Have not had them in two days. Am still bloated and have diarrhea every hour. Painful cramps. Can’t leave my house. I will not try to eat them again. Chica seeds are not for everybody. Sally – it could be the ratio of liquid to chia seeds. 1 cup liquid to 1/4 cup chia seeds is about right. Also, I would use chia seeds with organic coconut milk or almond milk. If you’re eating chia seeds because they’re healthy, might as well go all the way. Do the chia seeds can be affected by hight temperature of the oven? Are chia seeds useful for patient with hypertension or diabetic? I’ve been getting bad stomach cramps and could not work it out! I think it’s in part due to not drinking fluid whilst eating chia! I’ve started eating chia almost 2 weeks ago. I’ve seen a significant drop in my blood sugar! I’ve gone from the 180’s to the 130’s! I’m really amazed as this is working better than the Metformin was and I don’t have the “Metformin Moments” to deal with anymore. I swear by chia now. I got a recipe from Whole Foods, but in my haste to try it out, I didn’t measure accurately and now I don’t have any idea what the nutrition information is to enter in my tracker. I need to figure out how many tablespoons wet chia is compared to dry chia. I’ve been guessing based on the calories in a chia pod. Combine above ingredients and allow to soak overnight in the fridge. Add more liquid to seed for wetter results and vice versa for dryer. 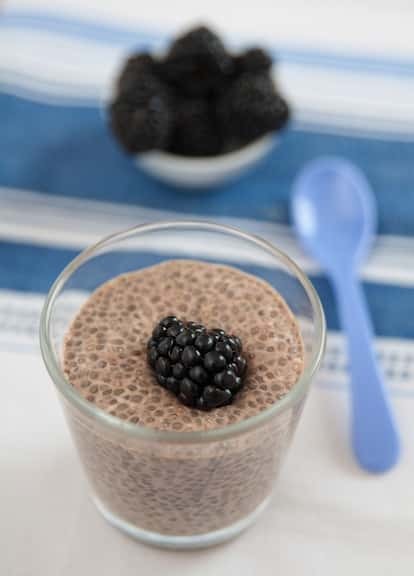 When ready to eat layer chia “pudding” in a skinny glass with unsweetened shredded coconut and chopped fresh fruit of your choice. The recipe in the store contained blueberries and kiwi. I had strawberries and grapes on hand and it was delicious! Next time I’m going to make it with dark chocolate almond milk and coco powder. Maybe layered with slivered almonds and cherries? The answers to these questions are someones opinion. The answers seem to be from someone who, apparently, can tolerate chia seeds well. Not everyone can. I cannot. I was sick for 2 weeks from eating these. Major intestinal issues, bloating, along with infection and fever. On antibiotics for 10 days then another 2 different antibiotics for another 10 days! Also, had to have a cat scan. If you are prone to any sort of diverticulitis, I would not risk it. But that is just my opinion and what my DR’s have recently talked about with me. Is chia bad for the appendix? I couldn’t tolerate chia until I found this method: I soak 2 tablespoons overnight in 8 oz of homemade kombucha. n the morning I drink it as-is, add a little fruit juice and drink, or use it as the liquid in a breakfast smoothie. Delicious! I found that any acidic liquid (fresh lemon juice in water, fresh orange juice, even cider vinegar water) works the best, if left overnight. The seeds are larger, more gelatinous and softer. I have mild diverticulitis, drinking 2 tablespoons a day soaked overnight this way made a huge improvement in ‘normalcy’ and regularity for me. My gastro gave me two thumbs up on my last exam! I use 1 to 3 Tablespoons daily. In the past I would eat them raw, just chew them up, crunchy, never had a problem. Though this year I eat them with liquid. Have noticed an extreme price increase in the last 5 years.Thank you for the great info! How long can I Leave the seeds in water? I grew up drinking chia and basil seeds all my life. And it was commonplace to always soak your seeds first before drinking or consuming them..must be a cultural thing. I love my smoothies with Chia seeds.I put 1 Tablespoon in with my fruit…but like others i would sometimes get cramping. So now I’m trying the gelled Chia. the back of the bag said to use 2 tablespoons to 6 oz. of water and let soak for a least 10 minute..I did 20 minutes….when it was ready there was probably over a cup of gelled chia..is it safe to drink that whole cup of gelled chia at one time? I drank half and I’m already full…Can I save the other half for the next day? I opened my bag of Chia seeds and it looks like there is some spider webs in it or something like that with the seeds. Is that normal or was there a spider in my bag? Jayme…that sounds like you got a bag with pantry moths in it. Jayme, I too, just opened my first bag of Chia and all gung ho to jump in and try it, noticed the web issue, as well as a pupa stage moth, I have not searched for more, but where there is one, certainly there are more. I don’t really want to eat the seed now. I didn’t read an answer to Jayme’s question; is this common? The chia seed was expensive, and it is a 50 mile drive to take it back to the store where I purchased it. This is a real pain to deal with! Now what? I love chia seeds. Thanks for listing all of the vitamins they contain, I didn’t know there were so many! It definitely makes sense that you need to drink a lot when you eat chia seeds. As the article said, they absorb liquid. You definitely don’t want to get cramps from eating too many chia seeds and not drinking enough. The good news is, it’s totally avoidable! Stir tonight, the fruit will thaw in the fridge, and the chia changes the consistency of the yogurt to almost a mousse. Tasty and filling. Blend in blender or “Nutri Bullet” appliance. Pour your serving into a glass, stir in chia seeds, enjoy, Keep remaining ginger drink covered in the fridge for later in the day or tomorrow. For consistency in serving size, I only add the chia to the serving I’m about to drink. The chia gels quickly. I don’t find it necessary to soak them for hours. They do their magic in minutes. I’ve been noticing lately that when I make homemade chia puddings with coconut milk that sometimes they come out super acidic and awful. Why is that? Joanna, I never heard this before, but I wonder if there is some chemical reaction going on? Readers, can anyone answer this? I had a bad allergic reaction to chia which no one mentions on any site and it’s frustrating. It gave me rosacea-like symptoms. Itching, burning, dry skin on my face but no redness. Stopped the chia a week ago and the skin problems still bad. How long does chia stay in your system? This happened to someone else I know but this isn’t in any site that lists side effects. I want to claw off my face. Can anyone help with an answer?? kris I have been having the same problem as you, I can’t be sure it is the Chia seeds but it’s the only new food in my diet. My face is so hot and itchy as are my forearms very strange. I have stopped eating them I really hope this problem disappears quickly!! I take 10 gms of Chia seeds and 15 gms of Flax seed with breakfast cereal daily. Mags – I arrived at the chia conclusion by process of elimination. I was taking it every day for months and have been suffering the allergic reaction for 4 weeks – two weeks ago today I stopped taking it and am praying my skin heals. I hope yours clears up soon, too. This really is hellish. I made pancakes which had two tablespoons of ground chia seeds in them. I ate two pancakes and felt gassy, bloated, and had stomach pain. It took me two meals (and a bit of googling) to figure out what it was. Maybe I am allergic to sesame seeds too? Anyway, my point is that I ate a small amount and still had this reaction. I just ate 1 full cup of chia seeds that had soaked in 4-5 cups of almond milk with honey and cinnamon. Yum! I will repost if the quantity presents any challenges. A bit excessive… yes. IS THERE ANYTHING IN CHIA SEEDS THAT MIGHT MAKE YOU FEEL “WIERD” LIKE JITTERY OR SHAKEY OR LIKE YOU FEEL WHEN YOU HAVE TO MUCH CAFFEINE. I felt that way too. It felt like I was shaky and my heart beat rate went faster and also dizziness. I stopped using them altogether. Same here! Weird feeling maybe took way too much will lower the amount next time and see how I feel, WOW feels like I had 3 espressos! I accidentally poured about half a cup for 1 person smoothie and I don’t jittery. But have a slight stomach ache. Yikes, that is way too much chia for a single serving! Drink a lot of water so that you don’t get sick to your stomach! I was reading elsewhere that some people have reactions to GLAs (omega 6s). I wonder if there are sometimes reactions to LNA (omega 3s) as well. They are abundant in chia seed. I swallowed about a tablespoon and a half dry but drank a lot of water afterward now I’m freaking out though cause I read an article about them swelling in your esophagus. Anyone ever have issues? Chia seeds have plenty of nutrients including calcium, protein, vitamins A, B, D, E, copper, iodine, iron, sulphur, potassium, sodium, zinc, manganese, thiamine, niacin, anti-oxidants and silicon. Adults may consume 15-20 grams of chia seeds per day. Those between the ages of 10-18 may consume about 10 grams of chia seeds each day. Children under 10 should not consume more than 1 tablespoon of chia seeds. Since chia seeds can hold up to 12 times its weight in water, they are wonderful to prevent dehydration. However, if you choose not to soak them, then they can also absorb water from you during digestion. So make sure to drink plenty of water throughout the day to keep your body hydrated. Adding chia seeds to your diet may cause some gastrointestinal symptoms, such as gas or bloating, if it means a sudden increase in your daily fiber intake. Drink plenty of water and increase your fiber intake gradually to limit this risk. I eat about a cup or more of chia seeds a day but always in some kind of fluid, usually in water with lime juice a la chia fresca or even in my iced coffee. I’ve never had any issues with jittery-ness, indigestion, stomach issues, or anything like that. I love them! Stacey, you are lucky that you’ve not had any negative effects from that much chia! Most people would not be able to tolerate a cup of chia seeds per day. I eat 1/3 cup of chia seed “pudding” that i make for breakfast everyday. Sometimes I add a 1/3 cup to my protein shake at night. Nava some of us work out a lot and are hungry all the time… hence chia seeds being called “runner’s food.” It really helps me keep hydrated too. I read that too much Maganese can cause shaking, “parkinson like symtoms”. I too have become more shaky from eating it. Not sure if someone had already said this to you guys bc i didnt feel like reading all of the comments, but the reason you feel shaky is bc you are dehyrated…Chia seeds absorb a CRAZY amount of liquid which can lead to dehydration. When i started drinking more water that feeling went away…. I had my entire large intestine removed 2 years ago and a j-pouch put in. Is it ok to eat chia seeds if you do not have a colon? Cory, just keep drinking water! that’s very important. Readers, please be aware — too much chia is way too much of a good thing! I just tried chia seeds for the first time today and i only had two sips. Almost instantly my heart started racing and I felt the energy. It was very intense! What is the recommended daily amount of chia? I put approx. 1 tsp. in my smoothie every morning. Also, should I soak them first? I got some ground chia seed and only used a rounded Tblsp. in a smoothie. several hours later, I got bloating and gas. I kept eating it several days, and stopped. Is is common? Lots more to read–didn’t feel the need to post the entire article here, as you can google it yourself. I’ve been using chia for awhile now. I’m seeing a lot of negative comments which makes me worry. Usually put them in my water and sip. My friend tried a few dry as soon as I purchased them. She ate some dry? Will they stick to her stomach or intestines? Hi Tyler, thanks for your concern for your friend. This is definitely a medical/nutrition issue, and your friend should consult with her practitioner. I’ve been eating 2 tblsp of chia in my yogurt/oatmeal mix and I haventered noticed anyything, good or bad. How long before you read the benefits of chia? I had heard about chia about 2 years ago. I bought a bag of chia, I remember that when I first had about 1 teaspoon of chia in a glass of water, stir and let sit a few minutes, stir and drink. I had no reaction from it. Recently my dietitian gave me the recipe for Chia Pudding. Delicious! bowl(s), add your desired toppings. There are also fillers you can put in. Allison, so sorry for the delayed response. Sometimes these queries get buried. I don’t know of any interaction between chia and HRT, but this is the kind of question you need to ask a Registered Dietician. My cardiologist told me to avoid caffine. Do chia seeds have caffine? Ralph, I don’t believe chia seeds have caffeine, but some people report feeling jittery or shaky if they take too much at once (too much is also hard on the stomach). Consult your practitioner, and start with small quantities! I’ve never used Chia before and am now considering taking them to help lower blood pressure. I do not take any prescription medication currently. I’m wondering if this is a good idea; how do I start; and how long (estimated) until one could expect to see results? Hi Susan, this is the kind of question we’re not qualified to answer, if there’s a medical component to it. If your MD is unfamiliar with chia and its effects, you’ll want to consult a Registered Dietician, who will be more knowledgable on the subject. Good luck! 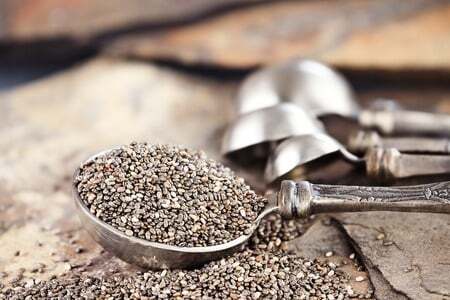 Hi, Does consuming Chia increase the risk of getting prostate cancer? Chia seeds seem to make my gas and bowel movements smell atrocious. I’m currently using them whole about two tablespoons a day, one morning and one at night. I noticed this when I tried them a few years ago as well. Any idea on why this would happen? Doesn’t seem worth consuming regularly for me. Maybe I should try grinding them. I just ate 2 tablespoons of chia seed dry, and chased it with a couple glasses of water. I heard it was good for hair and nails. Now I just read a couple of articles saying it can expand in your throat and block things up. Should I freak out? I wish I’d actually done the research ahead of time. Rachel, I don’t think you should freak out. Next time, do less chia seeds all at once, and eat them with food, not dry. If they’re already in your stomach you’ll be OK. Sip on some water over the next couple of hours. i always take chia seed as a snack (i didnt put in water or food). will there be bad effect? i munch on it almost whole day while working . reading all the comments made me terrified of the side effects. I just sprinkle the seeds over my salad and eat them mid day. What if you’ve had gastric bypass surgery. I know this will be good for me. Just wandering about the amount I should take. My stomach is the size of a large egg. I’m over a year out with no problems. Do chia seeds contain caffeine? I am allergic, but just came across a lot of healthy recipes that contain these seeds. I would like to know if it is safe for me to consume. There are quite a few online reports I have read about allergic reactions to the seeds. I think more people are allergic than we realize. If I eat too many, my heart races a bit. I have to be careful. I am very careful to pulverize them in my smoothies and to go easy on the dosage. Is there any relation between chia seeds and chia butter? Chia seeds are one of the healthiest food in the world. Many nutritionists claim that chia seeds can promote weight loss as a part of a balanced diet. Thank you for the article, I enjoy reading your posts. Hi, I’m currently consuming about 8 tablespoons of chia seeds and they have done wonders to my digestion. I have been battleling constipation for quite sometime and nothing I tryed really helped me a lot until I came across this wonderful seeds. I really don’t have any negative side effects despise eating such a large amount of seeds. On the contrary they helped me improve mu digestion a lot. Been on the chia for few months now,I take 1-2 tbl spoons of chia by soaking in water per day depending how hydrated I am,I feel more energetic plus with a Healthy-ish life style i have lost lost 10kg.They helped me with digestion,hydration,energy levels and there’s more I’m sure.These seeds are a v good edition your diet i would recommend these to anyone. Can we take soaked chia with milk like falooda for weight loss? I have tried a few times with chia seed soaked in milk overnight, but for some reason they do not swell / expand. Does it mean that this is not real chia seed? How to clean the blender after chia seeds?!!! Chia seeds are famous for their huge fiber content, can I add them to my daily meals, maybe once a day and not get stomach problems? And how much chia can I consume every day? Chia seeds pass through the digestive system & out the body intact. How can you get nutrients from an intact, therefore undigested product? I understand the idea of them providing bulk in the stomach, therefore aiding in weight loss. But a more complete description of how fats bind to this seed with a solid exterior needs to be provided. And citing your own book as a source – cheesy. My chia seeds are not swelling at all. Like no gel forming. I have experimented with differnt amounts of water, keep it long/ over night.. nothing works! I got mine from Sainsbury .. white chai seeds. Now I am like if I should actually be using it or not. Should I throw these out and get a new one! It’s not even expired or anything . Just doent swell.